Both players were eliminated from the event’s Super Smash Bros. for WiiU tournament in matches with incorrect settings. A controversial ruling during the Super Smash Bros. for WiiU tournament at Genesis 4 was one of the big stories of this past weekend’s event. Now, the event organizers are hoping to make amends. Organizers of Genesis 4 publicly apologized, and offered compensation, to Samuel “Dabuz” Bubzy and Furukawa “komorikiri” Rei on Tuesday, after both players were eliminated in seventh place under questionable circumstances. The offer was made in a joint statement from Bassem Dahdouh, who served as the lead organizer of the Smash WiiU tournament at the event, and Genesis Gaming co-owner Sheridan Zalewski. 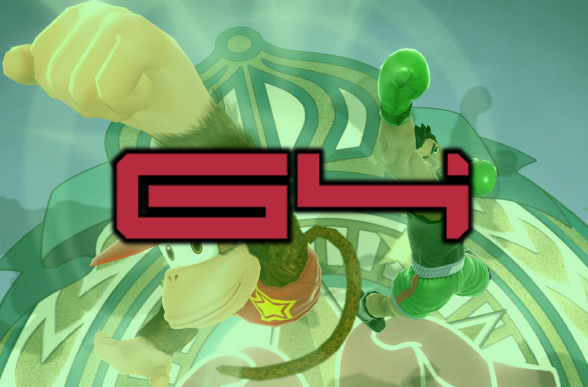 According to the statement, Genesis Gaming will compensate both players’ travel expenses to Genesis 4. Additionally, Dahdouh has offered to cover entry costs for each player to attend another major Smash event in 2017. “No amount of money or favors can undo the players’ frustration,” wrote Zalewski. “But I hope this demonstrates that we understand they feel we wasted their trip to our event and want to make it up to them as much as we can. The controversy began when it was discovered that the first two matches of Sunday’s top eight session at a ‘knockback’ setting of 0.9 instead of the default 1.0. Dabuz lost 3-2 to eventual third-place finisher Gonzalo “ZeRo” Barrios in the session’s opening match, then komorikiri fell 3-1 to Zach “CaptainZack” Lauth in the second match. Knockback controls how far a character flies when they are hit. A lower knockback setting makes it’s more difficult to eliminate a character off of the stage since the character doesn’t fly as far, resulting in players needing to do more damage than normal to take an opponent’s stock. Lower knockback values also allow characters to hit opponents with combos, which are typically not possible in the default setting. Immediately following his loss, komorikiri informed organizers that he believed the game’s ‘knockback’ level was set incorrectly. Once the game’s settings were checked and komorikiri’s belief was proven correct, tournament organizers—including both Dahdouh and Zalewski—decided to replay only the game immediately preceding komorikiri’s challenge. CaptainZack won the match and the tournament proceeded as normal with the correct settings. Organizers initially stated that the komorikiri/CaptainZack match was the only set impacted by the settings change. However, fans recreated several moments of the Dabuz/Zero set and determined that their entire set was also played with 0.9 knockback. Many fans on social media were vocal in their belief that both sets should have been replayed. Zalewski, however, stood by his decision on Tuesday. In a follow-up tweet, Dahdouh offered to cover entry fees for players impacted by a bracketing issue between the first and second stages of pool play. Players in at least four first-stage pools were advanced to the wrong second-stage pool due to a discrepancy between the event’s internal brackets and the publicly-available brackets on smash.gg. Several matches had to be halted while the issue was addressed, and several players had to face different opponents than the ones they were either facing or had already faced at the time of the stoppage. The controversies marred a tremendous performance from the tournament’s champion, 16-year-old Leonardo “MKLeo” Lopez Perez. The win, easily the biggest of his young career, was his first since he was signed by Echo Fox earlier this month.